No doubt a large number of punters imagine football or hockey under the term ‘team sports’. But what about volleyball? This sport remains in the shadow of its more well-known associates, and this is the reason we may be able to get one up on the bookmakers here. Anyone who has been familiar with odds betting for some time is sure to know that most bookmakers and programs which determine what the odds should be focus on the most watched leagues and sports. And the fact that volleyball is essentially of marginal interest to the betting public means that it is also of marginal interest to bookmakers. And it is in the least watched leagues and sports where the largest number of bookmaker errors can be found, and these can be exploited and used to earn a tidy profit. The quality of individuals is of much less importance in volleyball than in other team sports such as football, ice-hockey and basketball. A good example of this is basketball, where the strength of an individual is very important and when that player is absent the whole team’s chance of success fally rapidly. Volleyball doesn’t work like that. In order to get a point, at least two players are needed, although naturally they are usually acquired with the assistance of three players. Already that’s half the team on the court at that time. As such, much more important than the quality of individuals in volleyball is the quality and synergy of the whole team. If you were to look for an exception to this rule, you would find it in the position of setter. If there is one player more important than the others, then it is the setter. Almost all attacks go through this player, and so you need to carefully monitor what quality of player in which team is taking on this role. Naturally, high quality teams have a number of alternatives for the position of setter, and they can replace each other without their quality dropping, but nevertheless this remains an important factor. Many value bets then are to be found here. In volleyball, a team in synergy with a high quality setter can beat even a team which on paper is far stronger. If you make a good evaluation and find out at least some basic information on the teams who are playing each other, you can make quite a nice combined bet. If you are playing with a smaller amount of money, it is best to place simple bets with high odds. In such cases, we do not recommend you bet on more than two matches on one ticket to reduce as far as possible the chance that a match with relatively small odds does not spoil a correctly calculated bet on a match with much larger odds. The fact that volleyball is not on the top of punters’ lists, however, also has its disadvantages. 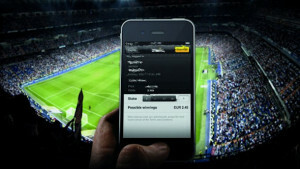 Disadvantages include the range of options for live betting, offered, for example, by bookmakers Expekt. The range of options for what bets can be placed during a match being played out are far smaller than the extent available for more popular football and ice-hockey. Although the selection of live bets for volleyball has expanded a lot in recent years and sometimes points or set handicaps can be bet on, for example, it will still be some time before the wide range we would like to see in future becomes a reality. Today it is now standard to be able to make live bets at a bookmakers during a match. Let’s take a look at the benefits of such bets for football, the sport in which these kinds of bets are most widespread. Many experts are sure to tell you that the most important thing when betting online on football is to be watching the match, whether that be on TV, or the streamed matches which good bookmakers such as Bet-at-home often offer. The reason is simple; when you are only looking at numbers and can’t see what is going on on the pitch, the risk of loss is large. The team you want to place a bet on may have more shots on goal according to the statistics, but the other team may be clearly better. Having the match in your sight can be exploited when you place a bet. It is very popular for pundits to place bets on prematch favourites who are not doing well in the actual match, thus increasing any winnings. When Barcelona played away with Real Sociedad recently in the Spanish league, for example, and they had been 0:1 down since the fifth minute, the odds for a Barcelona win were already 2:1 by the fiftieth minute. And just a reminder: before the match if you had placed a bet on a Barcelona win the odds would have been 1.35. In the end, Barcelona lost the match, but Real Sociedad was under massive pressure and it only held on with substantial difficulty. It is here that live football betting can prove very valuable. With every minute that passes until the end of the match, the odds for a favourite which is losing grow. These odds can easily offer great value, as it often happens that an outsider is unable to withstand the pressure from its opponents up to the end, and they eventually lose. This is why it is important to see what is happening in the match and try to predict the course of events to come. Even betting on a favourite whom you wouldn’t have betted on at the prematch odds can give you a handsome profit in the end. But be careful: we strongly recommend only betting on one match with this kind of bet, and not combining them with other bets.